Young aboriginal people are moving to the city in large numbers in pursuit of an education or employment. Nearly half of urban aboriginal people aged 18 to 24 say they have no plans to return home. Another 33 per cent are undecided. John Gladstone perches in his captain's chair above a gaggle of tourists as they board his ferry to downtown Vancouver. He casually steers the boat through the kayakers, and cormorants that crowd the narrow channel. He can make this trip with his eyes closed. The grandson of a fisherman on Haida Gwaii, a group of islands off B.C. 's north coast previously known as the Queen Charlotte Islands, Gladstone grew up on the water. What is most important issue facing aboriginal youth today? "I had my sea legs by the time I could walk," he said. "I'm almost more comfortable on a boat." But by the time he graduated from high school, the fishing industry that supported his grandparents had nearly collapsed, and the only other major industry on the islands, forestry, was on the rocks. John Gladstone practices heavy metal guitar in his bandmate's basement. He says returning home to Haida Gwaii would mean giving up his musical ambitions. (Elizabeth Hames and Ally Quinney)He's part of a generation of young aboriginal people who are moving to cities in large numbers in pursuit of an education or employment. Nearly half of urban aboriginal people aged 18 to 24 say they have no plans to return home. Another 33 per cent are undecided. Gladstone left his home community of Skidegate for Vancouver nearly a decade ago, and he has no plans to return. He dropped out of a psychiatric nursing course to pursue his dream of becoming a heavy metal musician. Going home would mean giving up his musical ambitions, he says. Reba DeGuevara is an exception to the trend. The 21-year-old moved to Vancouver from Westbank First Nation land to pursue First Nations studies and political science at University of British Columbia. Her parents are well known in West Kelowna, her mother a teacher and her father a member of the Westbank First Nation band council. 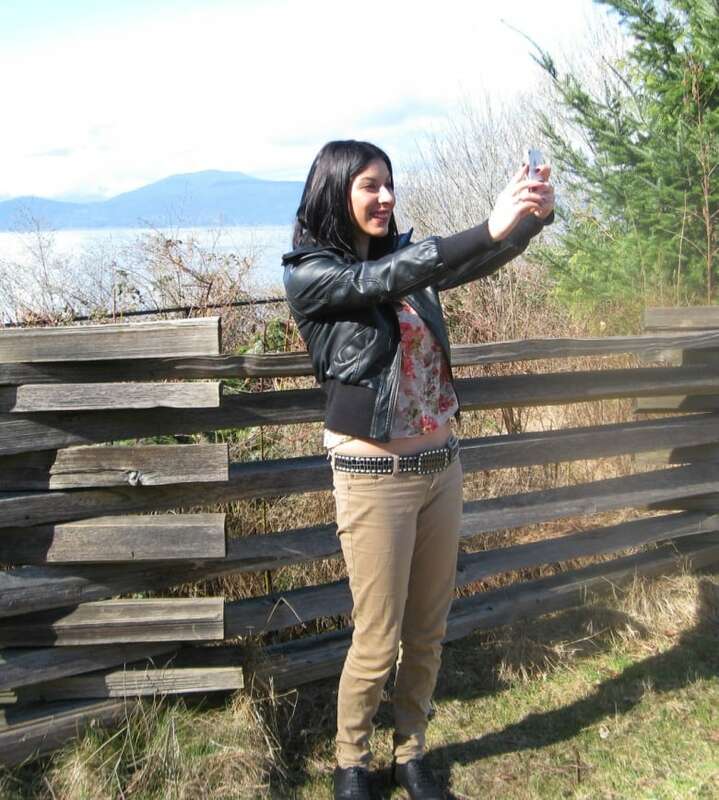 DeGuevara wanted to stand out in her community by having her own unique experiences in Vancouver. But she knows that she will inevitably move back. First Nations and territorial governments across the country are searching for ways to get talented young people like Gladstone and DeGuevara back home. Forty-four per cent of 18- to 24-year-olds who have left do not plan to go back to their home communities. Another 33 per cent are undecided. Nineteen per cent say they do plan on moving back home. The majority of 18- to 24-year-olds who moved to the city did so to pursue an education (57 per cent), or a career (47 per cent). Just four percent of 18- to 24-year-olds currently attending post-secondary schools said education will allow them to give back to their communities. The number of 20- to 24-year-olds living off reserve increased 27 per cent between 2001 and 2011, while the number of 20- to-24-year-olds living on reserve increased just 11 per cent in the same period. Since the mid-'80s, Membertou First Nation near Sydney, N.S., has worked to create jobs that will entice its freshly educated young people to return home after graduation. In Nunavut and the Northwest Territories, where aboriginal people make up 86 and 52 per cent of the respective populations, recent grads can have their student loans forgiven just for moving back home. Back on Haida Gwaii, Old Massett education administrator Florence Lockyer keeps track of every young person who has left for university. When a position comes up, she'll email postings to recent grads who she thinks might be interested. The community has also boosted teacher pay, so it’s on par with other teachers' salaries in the district. While the Haida Nation can fill positions with non-residents, Lockyer says there is value of finding educated locals to fill those positions. Reba Deguevara, pictured here on the UBC campus, plans on returning home to West Kelowna, about four hours from Vancouver, with degree in hand. (Elizabeth Hames and Alley Quinney)"It not only empowers our community to see our role models go out to school, but come back," she says. Back at DeGuevara’s home in West Kelowna, the Westbank First Nation – where nearly half of its nearly 800 band members are between five and 20 years old — also recognizes the value of having educated young people working in the community. “They’re our future,” explained Jolene Esau, the band's employment co-ordinator. Four years ago, the Westbank First Nation made youth and member employment the primary focus of its strategic plan, and it shows. About 75 per cent of band members are employed, and most post-secondary students looking for summer work can find it with their band. For example, when DeGuevara applied for a job with the Westbank First Nation last summer, the posting was only for one position. “But they accommodated three to take on more summer students to provide that opportunity to learn,” she said. DeGuevara sees herself working with the Westbank First Nation again once she graduates, or perhaps the Okanagan Nation Alliance, a group of First Nations in B.C. 's Okanagan region. John Gladstone and Reba DeGuevara discuss the meaning of the symbols on the Haida totem pole at the University of British Columbia campus in Vancouver. (Elizabeth Hames and Ally Quinney)But for Gladstone, and many other young aboriginal people, finding fulfilling work at home is not that easy. While the First Nation pushes its youth to get an education, there are few jobs for them in Skidegate once they graduate, said Gladstone. Despite the lack of opportunity, he still feels the pull of Haida Gwaii. Gladstone visited home at Christmas, and spent his days crabbing with his cousin. “It was a really great first meal there,” he says. “It's stuff like that that I would go back for. “For the most part, I think I would just go stir crazy. I've kind of gotten used to the more fast-paced lifestyle down here,” he said. Even DeGuevara says she isn’t done with the city just yet. This series on aboriginal youth produced in partnership with the Reporting in Indigenous Communities course at the UBC Graduate School of Journalism.